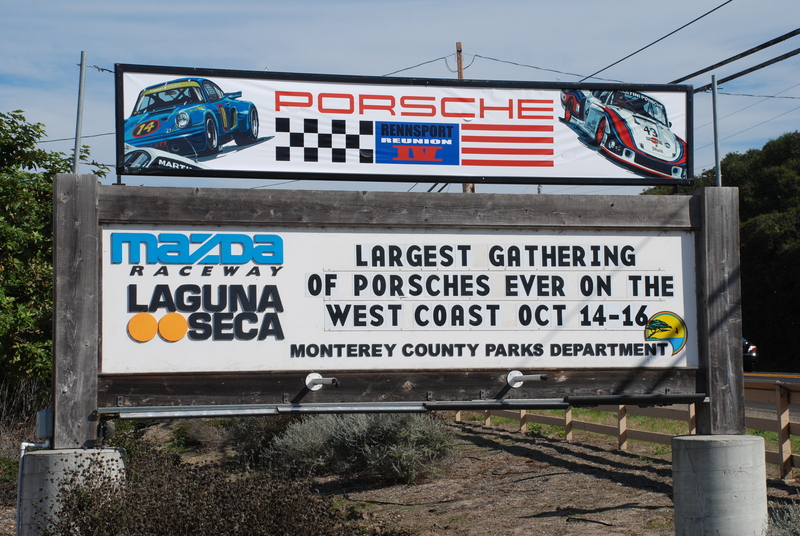 As we approached the crest of the hill, the unmistakable sound of Porsche race cars at speed could be heard echoing off of the surrounding hillsides. My son and I looked at each other with huge smiles on our faces, knowing that this was going to be the start of an epic weekend. After flashing our 3 day passes to the admissions gate crew, we were waved through and sent on our way to look for parking. 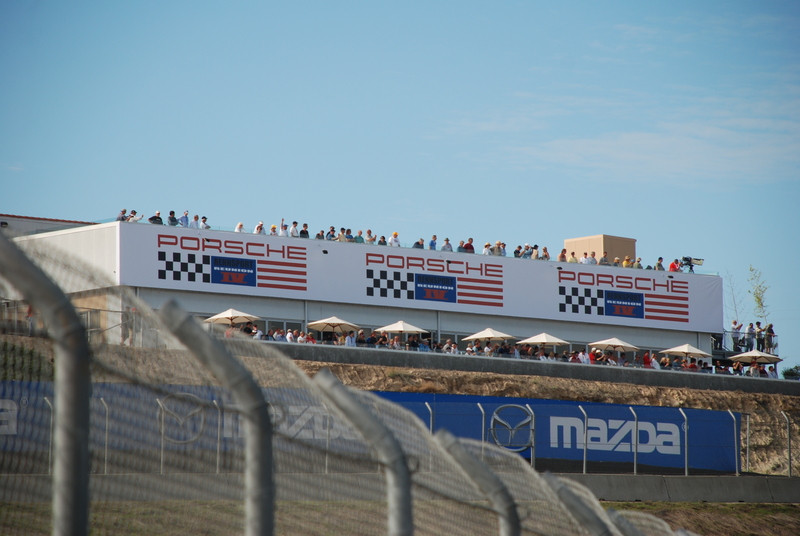 Fortunately we found a spot on the hill located just behind (for this weekend) the Porsche Hospitality suites, which overlooked the start / finish line, and affords a panoramic view of the majority of the racetrack. It was then a short walk down the hill to the pedestrian bridge, which crosses over the front straight just beyond the start /finish line, allowing access to the infield portion of the racetrack. 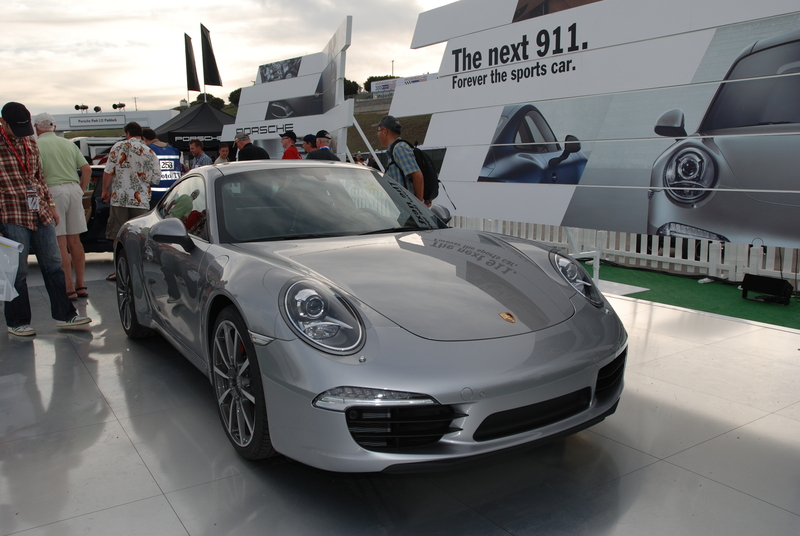 Once inside the infield, we headed directly over to the Porsche Park, to see what amazing treasures awaited discovery. 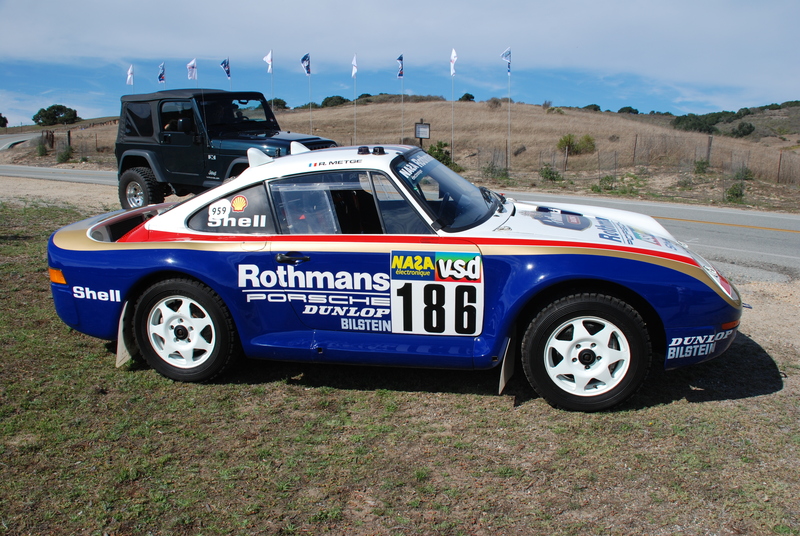 As my son and I rounded the corner, there sat Porsche 935 / 2.0, affectionately referred to as “Baby”. “Baby” did go on to compete in two races; the first unsuccessfully, resulting in a retirement of the car and its driver (Jacky Ickx) due to heat exhaustion. However, for its second race, Jacky Ickx qualified the car on pole, a full 2 seconds faster than his closest competitor. 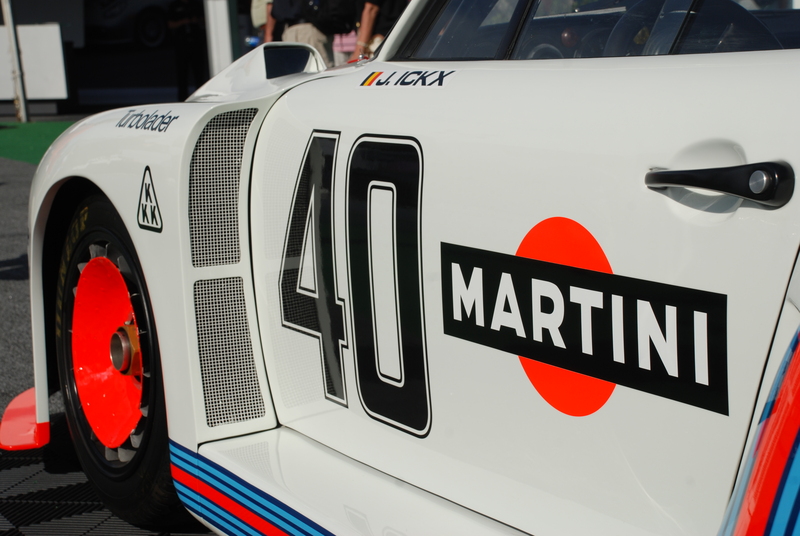 Ickx and the 935/2.0 went on to dominate the race, and at the end, finished a half lap ahead of the second place car (a Ford). 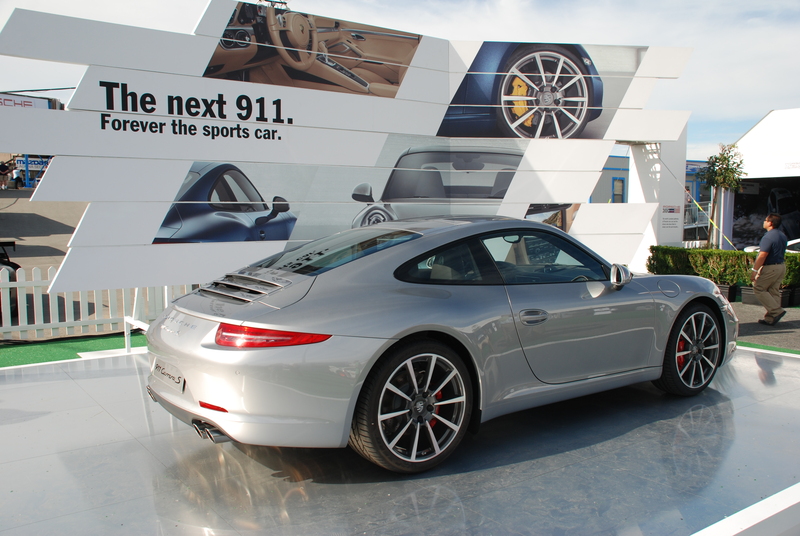 Porsche had demonstrated that they could compete and win at all levels, and shortly after, “Baby” was retired to the works museum. 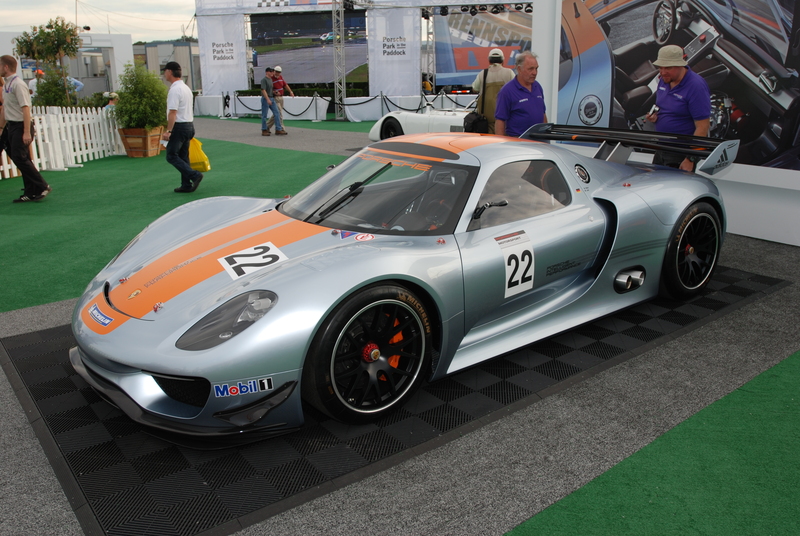 Located 90 degrees from this gem sat another Porsche jewel, the Porsche 918 RSR hybrid; 560 horsepower from its direct injection V8, supplemented by dual electric motors residing at each front wheel. 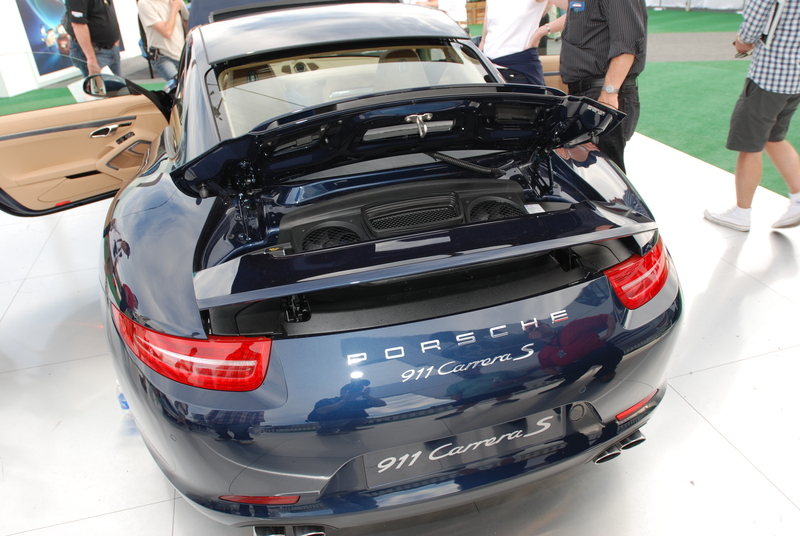 With the inclusion of these two electric motors, and in conjunction with its KERS system (Kinetic Energy Recovery System / located in the space normally occupied by a passenger seat), Porsche is able to boost the horsepower up to 767. 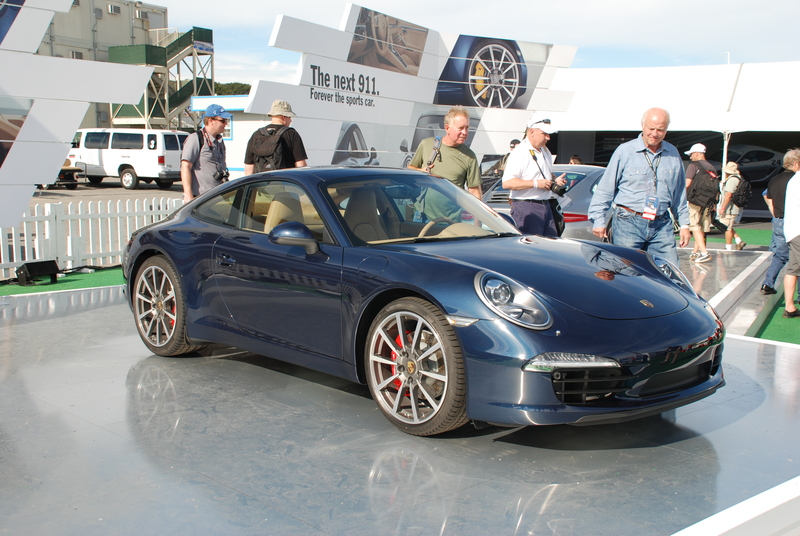 Hybrid technology for supercars, taken to a whole other dimension by Porsche. 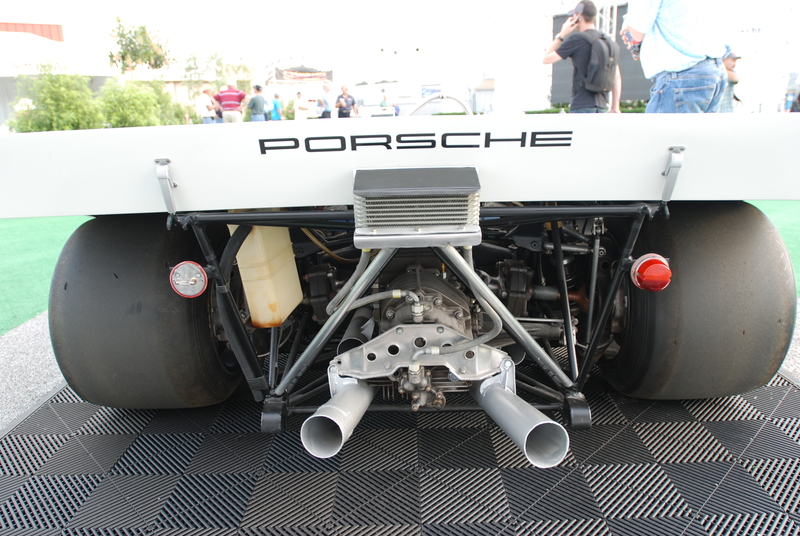 Positioned another 90 degrees from the 918 RSR Hybrid was a one-off factory creation; the 1971 Porsche 16 – cylinder. 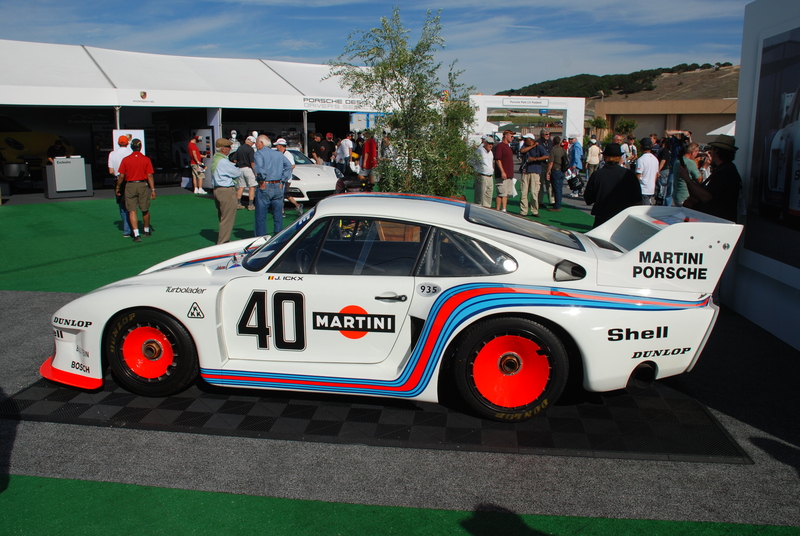 The motor in this car was developed as a result of a rule change made by the FIA at the end of the 1972 racing season. 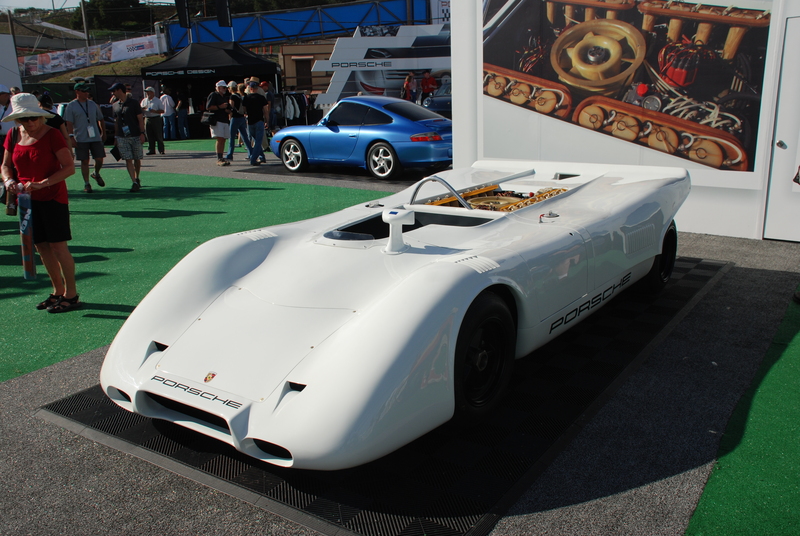 The Sports Prototype series was to undergo a reduction in engine displacement, dropping from 5 liters to 3 liters, thus making Porsche’s previous 917, flat 12 -cylinder motor obsolete. 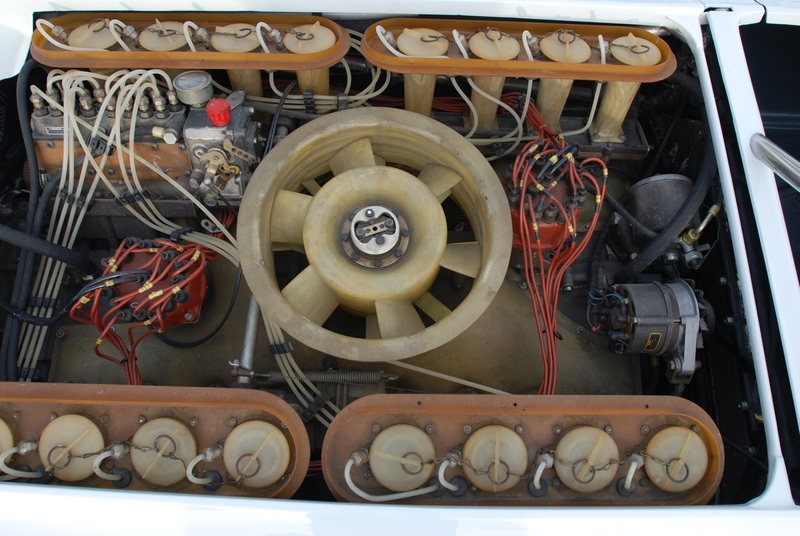 Porsche’s solution was to develop 2 different motors in parallel; The first being the 16 -cylinder, which was designed to accommodate a range of displacement from 6.0 liters, all the way up to 7.2 liters. 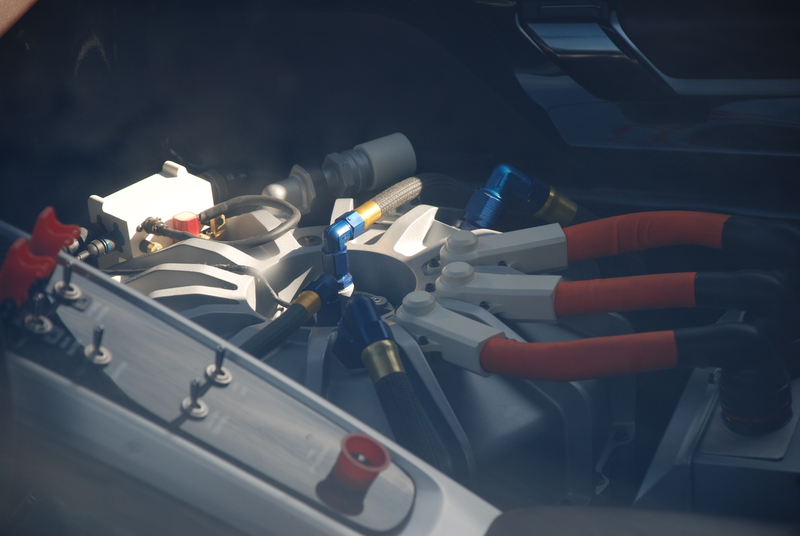 In the 7.2 liter configuration, this motor could produce 880 horsepower, making it the most powerful, normally aspirated engine ever produced by Porsche. However, it was the second motor under the parallel development program that rose to prominence. 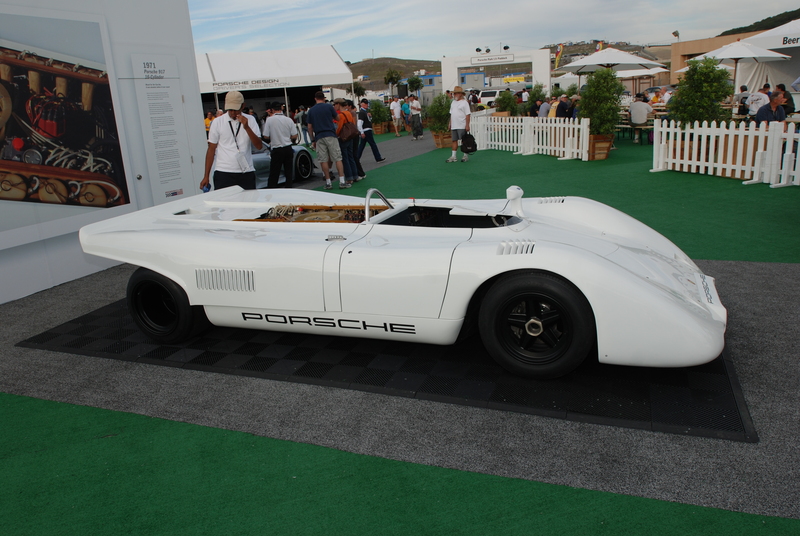 The 12- cylinder, 917K motor with turbocharging added, was now able to produce 950 horsepower. And by the conclusion of the 917/30 Can- Am program ( and running twin turbochargers), the motor was putting out 1200+ horsepower. And according to the vehicle biography on display, this is the sole remaining Porsche 16-cylinder motor. 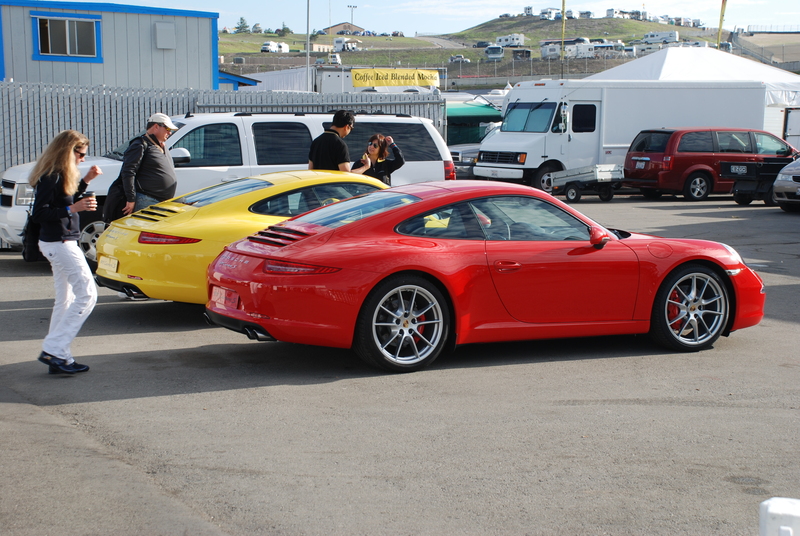 In sharp contrast to these three, purpose-built race cars, were two examples of Porsche’s new production models for 2012, and making their US debut at Rennsport; the 911 Carrera and Carrera S (type 991). 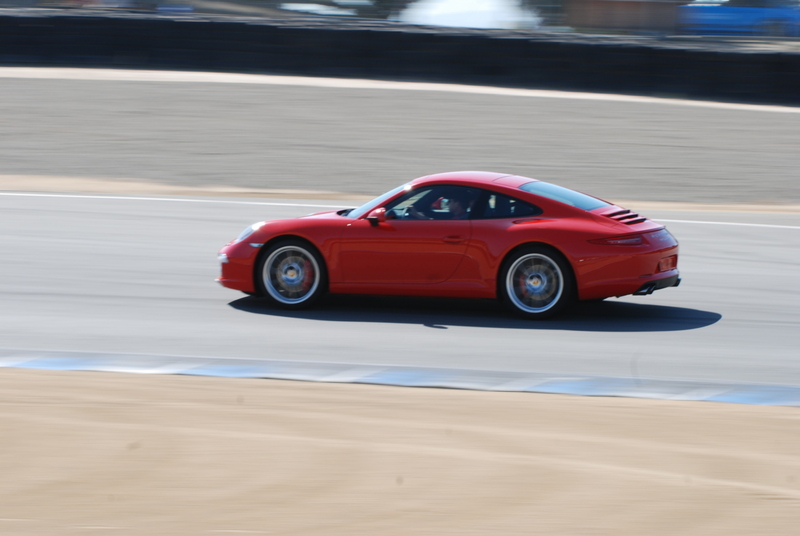 Stay tuned for Rennsport Reunion IV, Part 2 coming shortly; more photos and less narrative. 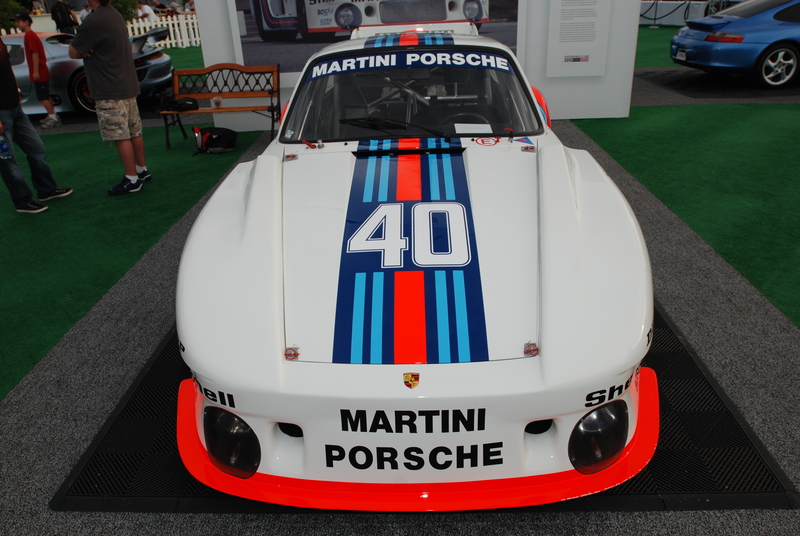 This entry was posted in car shows / special events, Porsche, Porsche race cars, Porsche Rennsport Reunion 4 and tagged Automobiles, Cars, Porsche, Porsche 911's, Porsche race cars, Porsche Rennsport Reunion 4 by digitaldtour. Bookmark the permalink.